New and a Hell In A Handbag exclusive! 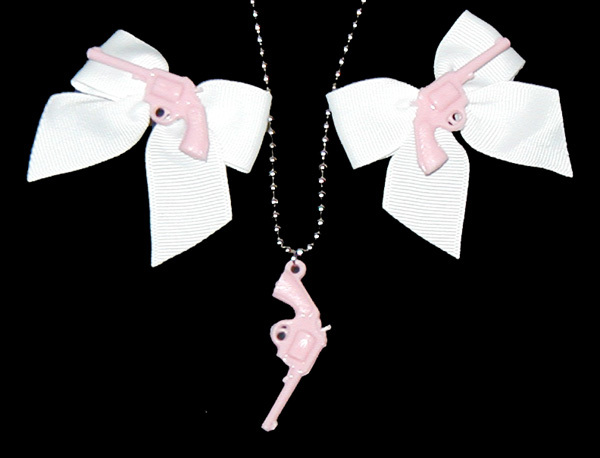 Baby pink revolvers rest atop big ol' white bows on metal barrettes. Set includes matching pistol on silver metal ball chain necklace. Bows are approx 2 1/2" wide.